Looking For Cheerleading American Cheerleading Cheerleader Che? Inferno Cheer and Dance is a competitive and recreational cheerleading and dance club, committed to providing quality and unique sporting experiences to students of all ages, skill levels, and genders. Our classes and programs are designed to encourage and enhance the potential of each student, in a positive, fun and safe team environment. Inferno Cheer and Dance’s recreational programs offer a great way to become and stay active, in a fun and social atmosphere, whilst our competitive programs offer rewarding experiences, challenging and empowering students to work hard as individuals, and more importantly as a team, to achieve success. Our qualified and experienced coaches will nurture and support each student, striving to achieve individual athletic success in many areas, including coordination, endurance, strength and flexibility, as well as developing important social core values of dedication, confidence, teamwork, discipline and respect. 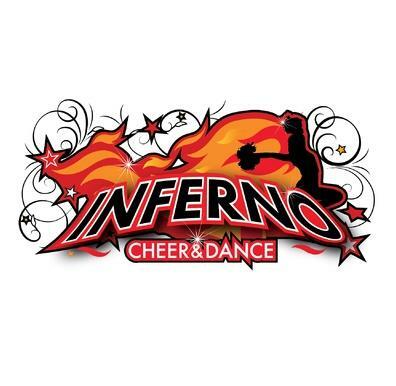 Inferno Cheer and Dance will spark the passion and ignite motivation in our students, believing everyone has the potential to achieve athletic greatness, and light up the floor!